Canada is facing renewed pressure to keep its military helicopters in Mali until a relief force of Romanian aircraft arrives in October. Last week, members of the all-party House of Commons defence committee heard the appeals directly from a senior United Nations representative and government officials in the troubled west African country. The committee conducted a week-long fact-finding mission in both Mali and neighbouring Senegal — a high-security visit that was carried out under a media blackout. New Democrat MP Randall Garrison told CBC News on Tuesday that the committee met with Mahamat Saleh Annadif, who heads the UN stabilization mission in Mali. Annadif warned the MPs that the peacekeeping mission would have to scale back operations during the gap between the Canadians leaving and the Romanians arriving. The issue first surfaced last fall, when the UN made quiet overtures to Canada to keep two CH-147F Chinooks and four CH-146 Griffon armed helicopters temporarily in place. The Canadian aircraft are slated to cease operations at the end of July, even though their Romanian replacements won't arrive in Gao — the principal UN base in the north of the country — for three months. The notion of an extension was dismissed during Prime Minister Justin Trudeau's whirlwind trip in December to visit aircrew taking part in the mission. The Liberal government has not budged from that position. The Opposition Conservatives have long argued that Mali, the UN's deadliest ongoing peacekeeping deployment, is the wrong mission for Canada. 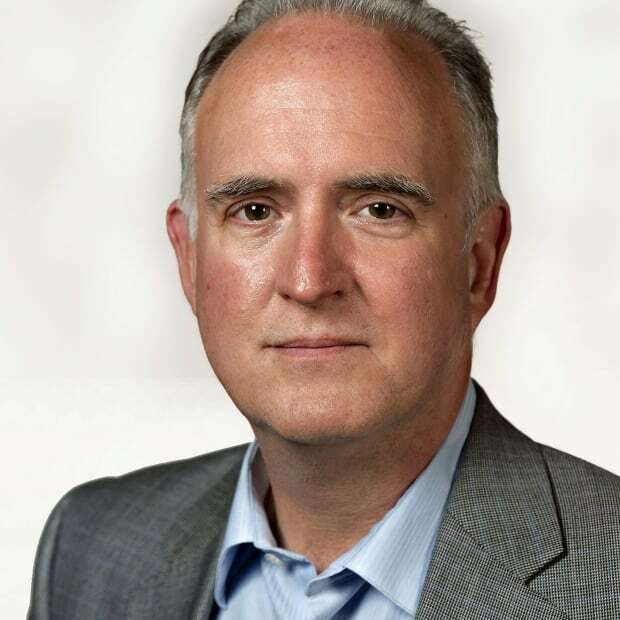 "Both the Liberals and Conservatives [on the committee] heard quite clearly what people were saying," Garrison said. "It reduces MINUSMA operations and risks lives to have such a big gap." 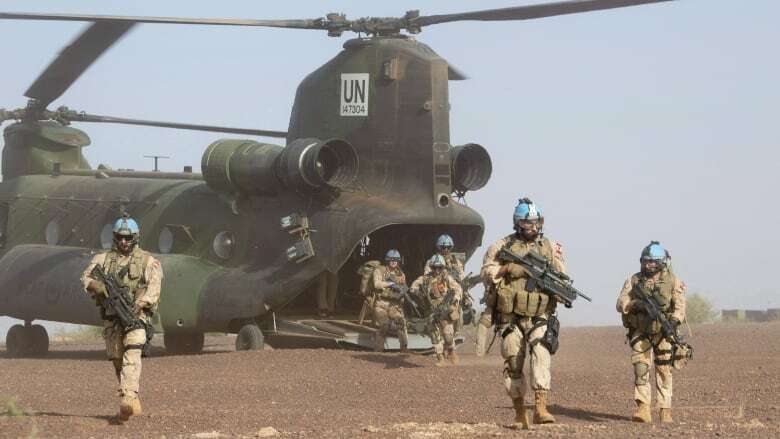 Military and government officials travelling with the prime minister in December pointed out that the UN has the option to contract private helicopter support and noted there was a month-long gap in operations when the Canadians replaced the Germans last summer. "Everybody was pretty clear, [private contractors] provide less service and they don't go when there is active fire. So it's not quite the same," said Garrison, who added he intends to introduce a motion before the defence committee calling on the Liberal government to remain in Mali until Sept. 15, when the gap will be more manageable for the UN. A spokeswoman for Defence Minister Harjit Sajjan's office confirmed Tuesday the government's position has not changed and the pull-out date remains fixed. UN and Malian officials also expressed concerns about the Liberal government's unfulfilled commitment, made last summer, to deploy 20 police officers to bolster the UN and European Union training missions. Two Canadian police officers are currently on the ground in Mali, while an additional three will join them sometime this month, he said. When the deployment was announced last July, senior government officials speaking on background did not give a timeline because planning had only just gotten started. They did, however, emphasize the important role female police officers have played in past peacekeeping missions by advising on local gender-related matters. Adding police — particularly female officers — to the mission would help meet one of the Liberal government's signature goals: putting women at the centre of a renewed international peacekeeping effort, which is also a stated aim of the UN Security Council. Garrison said MPs heard praise for the example Canada has set on gender parity. "Women have a prominent role and there was lots of acknowledgement that that is something that needs to be seen." The MPs were also asked by Malian government officials — including the president of the country's national assembly and the minister for peace and reconciliation — to consider specific bilateral help to reform and improve the country's security sector, including police. The Canadians also were told Mali needs help with disarming, demobilizing and re-integrating the various fighters and factions in the country's complex civil war. "I think it's in Canada's interest to avoid a failed state in Mali," said Garrison, who is one of the co-deputy chairs of the defence committee. "It became pretty clear there would be an enormous humanitarian crisis. There would be refugee flows. There would be a safe haven for jihadists. There would be drug trafficking, human trafficking. It's a huge disaster if Mali fails and then its neighbours go down."